Eco-friendly multi-talent. 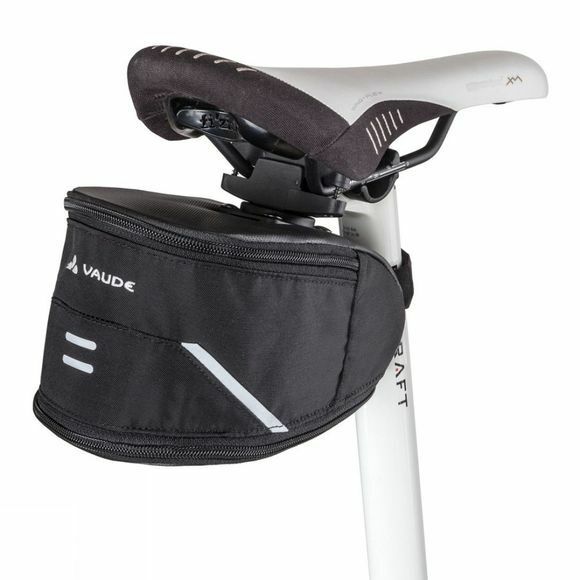 The Tool Saddlebag X-Large from VauDe is made from bluesign certified material is attached via Twist Adapter, and can be expanded in volume if necessary. It offers room for a spare tube, tools, tire lever and even a weather jacket, energy bar and extra cash.